Xander is an amazing fellow, but due to allergies in the family, he is now in need of a new home. 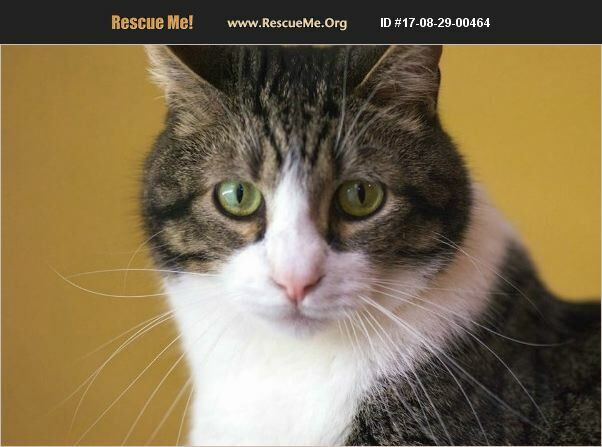 �%A0Xander loves everybody, and is even patient and loving with young children! �%A0He is very social, greeting guests when they come to visit. �%A0He also gets along great with other cats and dogs. �%A0Xander loves playing with lasers,�%A0wand toys and catnip, and even enjoys playing with water!�%A0 He is awesome with nail trims�%A0and he uses scratch posts. �%A0Xander has�%A0had gingivitis in the past, but after switching to Science Diet Oral Care, has not had any teeth problems. �%A0He has always been an indoor-only kitty, and is very happy to keep it that way. �%A0If you are looking for a sweet, social, and playful adult cat, that also loves to cuddle with everyone, Xander may be the one for you!